This product replaces the older Aldelo Touch for iPad. 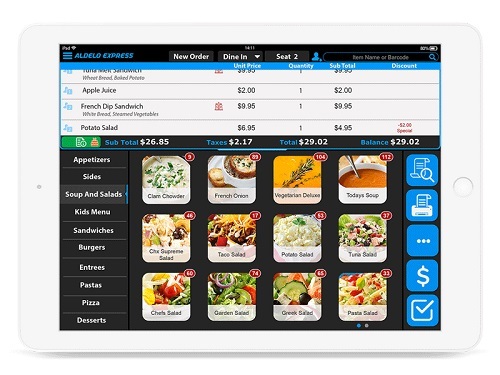 Aldelo Express is an easy to use iPad POS software complete with 24/7 Aldelo tech support. The app is designed for easy peasy setup with zero computer experience required. You can get your POS setup in 10 minutes or less. No servers or additional computers needed, just use your existing iPad. Aldelo Express is great for both table service and quick service operations. When used at table service restaurants, we support visual floor plans and table management, guest reservations and waitlists intuitively. Best of all, advanced features such as these are all free of charge. Restaurant POS operations are mission-critical and complex. Operations like modifiers, pizza ordering, and complex menus increase staff training requirements and lower productivity. Aldelo Express helps simplify modifiers, pizza ordering and complex menus with a super easy ordering experience like no other. 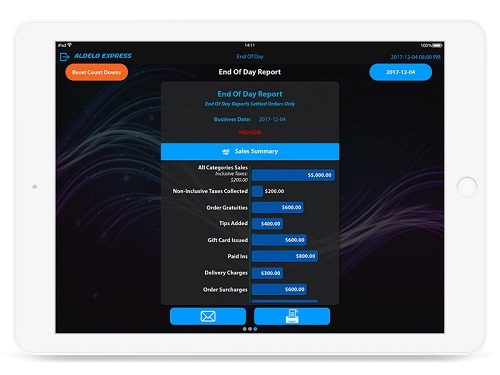 Aldelo Express simplifies delivery service operations. Seamless integration with Caller ID, visual map integration built right into the app, driver dispatch control, and a host of other delivery features that enables a smooth delivery service experience. 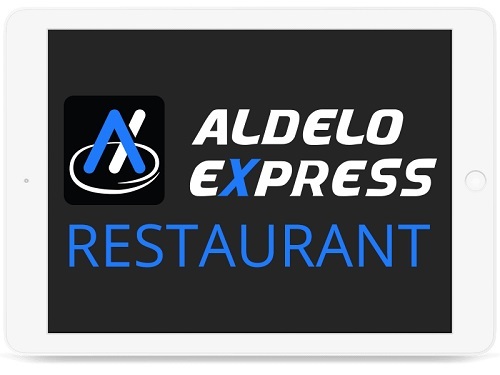 Aldeo Express is free when you sign up for Aldelo Pay! New to the Aldelo family is their very own Aldelo Pay merchant processing. The most forgotten aspect of a point of sale system is Merchant Processing or how credit and debit cards get securely charged/processed during checkout. With Aldelo Pay you can rest assured that your transactions will be processed smoothly and any issues you have will be handled swiftly as Aldelo Pay was designed specifically for Aldelo POS Software. If you have another processor you would like to use with your Aldelo Express software a gateway fee and other fees will apply after your software purchase. 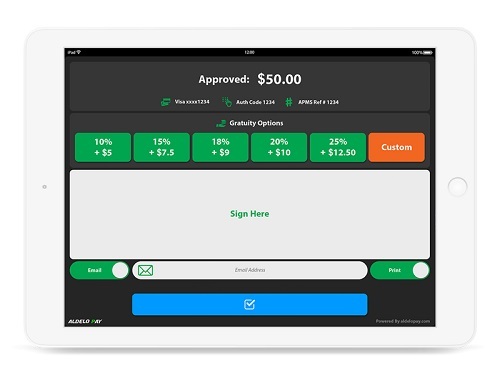 <b>This product replaces the older <a href="https://posmicro.com/pro/2253/aldelo/touch">Aldelo Touch for iPad.</a></b><br><br> Aldelo Express is an easy to use iPad POS software complete with 24/7 Aldelo tech support. The app is designed for easy peasy setup with zero computer experience required. You can get your POS setup in 10 minutes or less. No servers or additional computers needed, just use your existing iPad. <li>Table Management-<br> Aldelo Express is great for both table service and quick service operations. When used at table service restaurants, we support visual floor plans and table management, guest reservations and waitlists intuitively. Best of all, advanced features such as these are all free of charge. <li>Complex Orders-<br> Restaurant POS operations are mission-critical and complex. Operations like modifiers, pizza ordering, and complex menus increase staff training requirements and lower productivity. Aldelo Express helps simplify modifiers, pizza ordering and complex menus with a super easy ordering experience like no other. <li>Delivery Service-<br> Aldelo Express simplifies delivery service operations. Seamless integration with Caller ID, visual map integration built right into the app, driver dispatch control, and a host of other delivery features that enables a smooth delivery service experience. iPad Stand: Any Stand, our favorite is the Heckler Windfall, available in many iPad sizes.